No country is more obsessed with food than Japan. The chefs there are all specialists and dedicate their lives to perfecting and serving one type of dish, such as sushi, yakitori, ramen and even tempura. Tempura chefs in Japan use special proprietary batters, the highest quality fish, vegetables and oil, and have mastered the frying process. 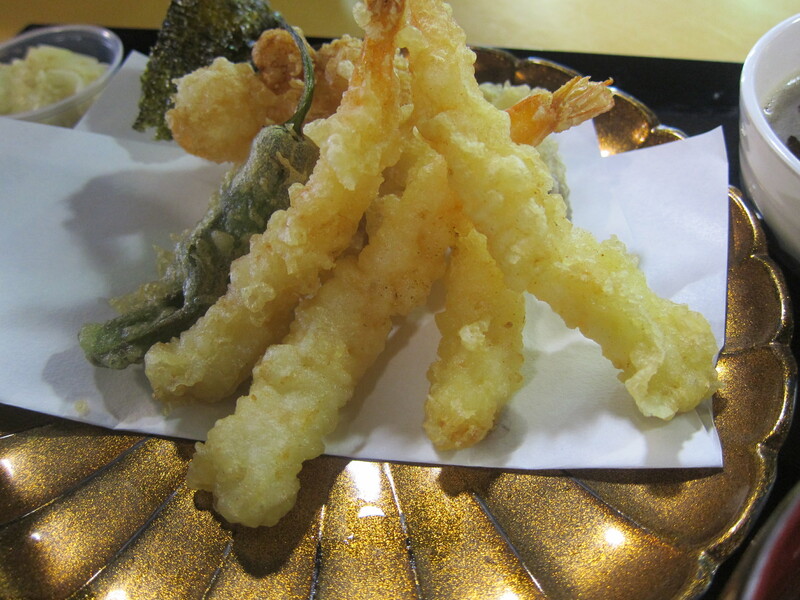 The result is tempura that is delicate, lightly coated, super fresh and full of flavor. Hannosuke, a Japanese import in Mar Vista, is the only place in LA that I’m aware of where you can get this kind of amazing tempura. 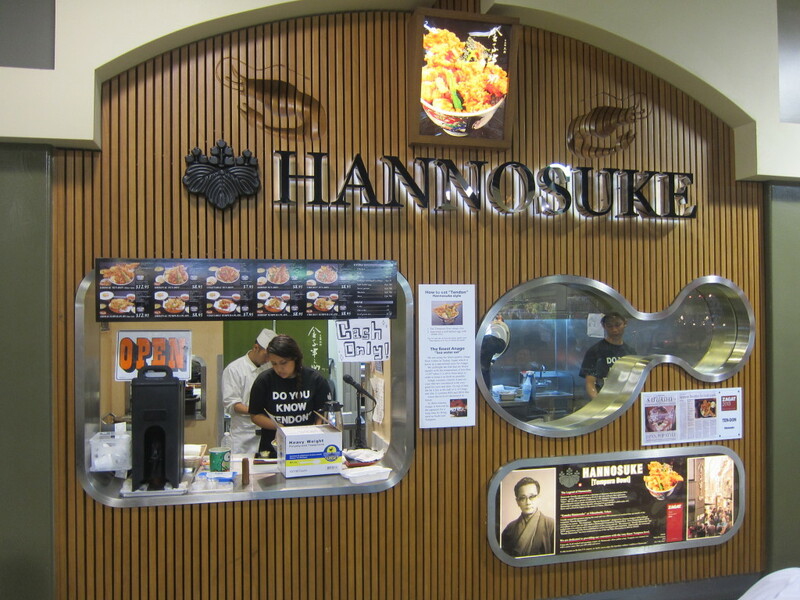 Located in the food court of the Mitsuwa Marketplace, Hannosuke is a few stalls away from Santouka Ramen, my favorite ramen joint in all of LA. 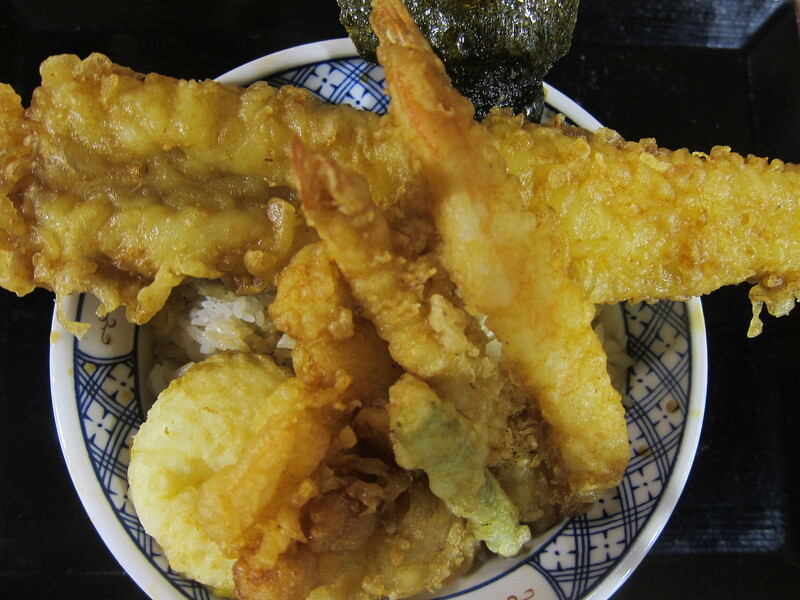 The specialty of Hannosuke is Tendon, a tempura rice bowl. There are several varieties of Tendon at Hannosuke: shrimp, white fish, vegetable, chicken and the specialty of the house, fresh salt water eel imported from Japan. Whichever one you choose, you will get a glorious pile of golden brown, crispy, salty and unctuous tempura with a slightly sweet sauce piled high on a bed of rice. 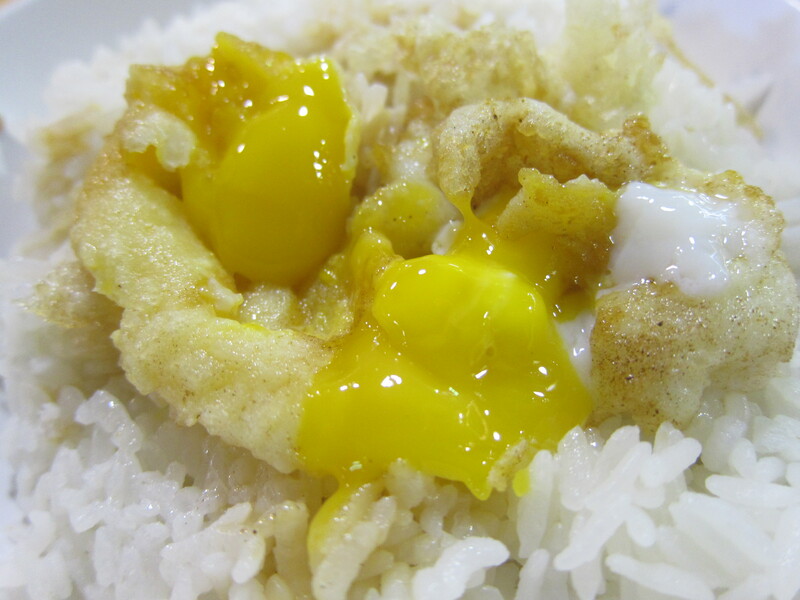 Your bowl of fried excellence includes a piece of tempura seaweed and a tempura soft boiled egg, ready for you to break open with your chopsticks and mix the warm runny yolk into the rice. It doesn’t get much better than this. 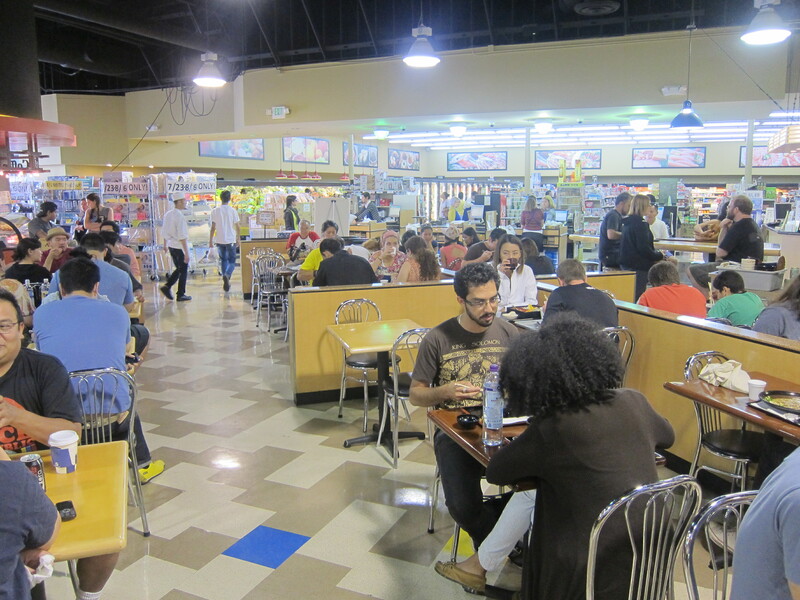 Hannosuke is located at 3760 S Centinela Ave, Los Angeles (in the Mitsuwa Marketplace). The best tempura in LA! Please try to explain the ramen at Santouka to me. I have seen many glorious reviews about it. I have now been twice and don’t understand the heaven that is written for that place. Seriously. This might be blasphemous but my favorite miso ramen place is Ramenya. I haven’t been to Ramenya. Will have to try it. What makes Santouka the best for me is the amazing toroniku.